The 96th Highlanders Pipes and Drums, Inc. 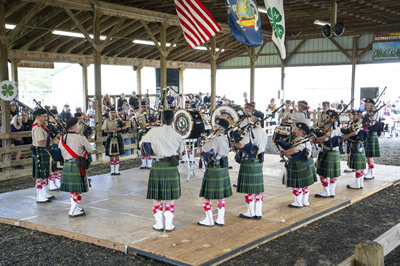 The 96th Highlanders Pipes and Drums Inc. of Jamestown, New York, is under the direction of Pipe Major Pamela Silver & Drum Sgt. Doug Clark & Drum Major John Shaughnesy. 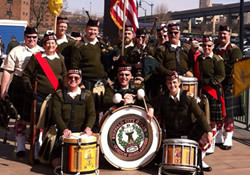 The 96th Highlanders proudly represent Southwestern New York and Northern Pennsylvania. This popular South Buffalo band performs wonderful tunes that delight fans and fairgoers each year. 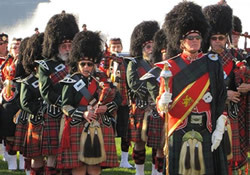 The Caledonian Pipe Band of Buffalo was formed in 1958, and is a family-based organization. They field in Grade 4 and Grade 5 competitions. 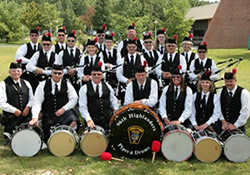 Buffalo Niagara Scotia Pipes & Drums New! One of WNY's newest pipe bands, BNS is dedicated to strengthening Scottish pride in the region through the art of playing bagpipes. They welcome newcomers of all ages. 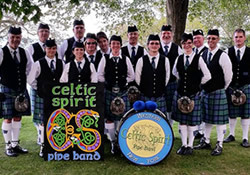 Formed in 1999, Celtic Spirit has grown into one of Western New York’s top Celtic music performance ensembles. 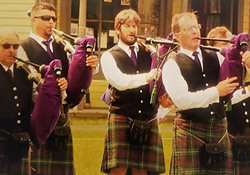 The band mixes traditional pipe music with various modern instruments in unique arrangements created by the band. The band’s performances span regular appearances at area Celtic festivals and traditional parade marching to playing high profiles shows. Pronounced ‘Clonn Na Karra', they were was founded in 2006 by four champion dancers. It has since grown to include 6 locations across Buffalo and Binghamton. 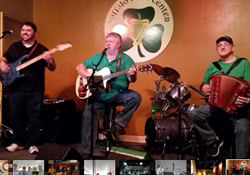 Clann Na Cara has performed in St. Patrick’s Day Parades, Irish festivals, TV performances, charity events, concerts, weddings, schools, nursing homes, and the list goes on. Competitively, dancers have been honored with numerous national and international awards. 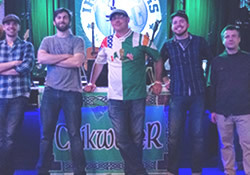 Born in the rustbelt Irish American neighborhood of South Buffalo, NY in 2010, Crikwater have become the premier Irish American Traditional Folk Band in Western New York. 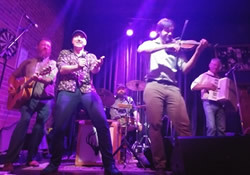 The pub-scene veterans offer up a mix of fiery fiddle tunes, rowdy pub sing-a-longs, elegant ballads and original songs. 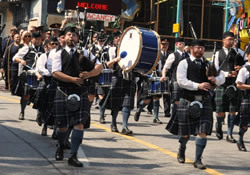 The Gordon Highlanders were formed in 1837 in defense of the City of Buffalo. They are the oldest continuing organization in the City of Buffalo, this year celebrating their 175th anniversary. They march in parades all across Western New York and participate in many community activities. Feadán Òr performed for about 18 years, and was one of the most known bands in the area. Their newest incarnation has been around for a few years now. 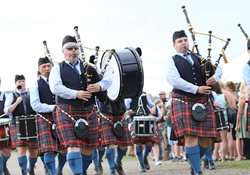 Their aim is to promote traditional scottish bagpiping, drumming and dancing, in performances and through teaching (they also offer lessons in all three skills). Their objective is simple yet evocative: “…if our audience can only get 10% of the satisfaction we get entertaining them, then we surpass objective.” Accordingly and repeatedly, they do!! 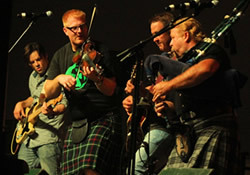 From a small Scots-French-Canadian enclave in Eastern Ontario, these Celtic-Stompers have earned a reputation as entertainers that challenge you to sit still during their engaging performances. Harvester 56 Theater Dance Academy New! 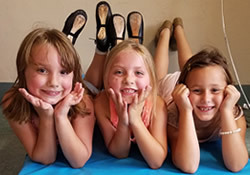 Founded in 2017, The Harvester 56 Theater Dance Academy provides quality dance instruction at an affordable price. Classes are taught by professionally trained instructors in a fun and relaxed environment in Batavia NY. We offer classes for students in Kindergarten through Adult, beginner to advanced. Competition team is available. They are currently the only school in Genesee County offering Irish Dance. The LeftOvers established a following throughout Western New York in 2001. 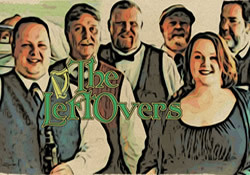 With music ranging from popular drinking songs to the historical and poignant rebel songs of Irish past, The LeftOvers offer a large variety of rebel tunes and ballads. They drink a lot, they tell bad jokes, and they won’t play songs that make you think too much. The LeftOvers offer something for every Celtic heart. 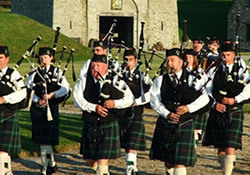 MacKenzie Highlanders' Pipes and Drums With roots dating back to 1913, the band has had many incarnations over the years. Now the tradition continues... The MacKenzie Highlanders' offer free bagpipe and Scottish drum lessons to all interested in becoming a member. 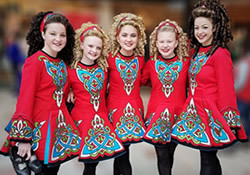 The McMahon Dancers, based in Rochester NY, are well known for their high-energy shows that never fail to engage its audience, whether young or old. 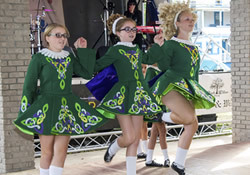 Every performance is marked by toe tapping and hand-clapping in the spirit of Irish culture, music and tradition. 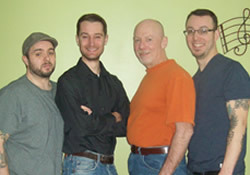 The Niagara Frontier Fiddle Club is dedicated to the preservation and performance of Old Time Fiddle Music. 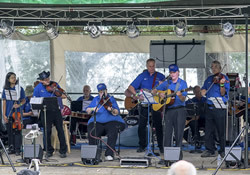 We are an acoustical group and our motto is ‘Fiddling For Fun.’ We are an acoustic group made up of Fiddlers, Guitars, Banjo, Harmonica, Mandolins, Dobro and Spoons. We also feature singers and story telling, which provides us with a variety show that is pleasing to all who listen to us. The Reardon & Garvey band performs traditional and contemporary Irish music, American Folk tunes, and some new contemporary songs. With the combination of 3 and 4 part harmonies and instrumentation, they keep audiences highly entertained. 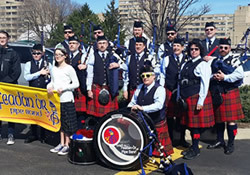 The Rochester Scottish Pipes & Drums is the city of Rochester’s Celtic Ambassador to the world, carrying its unparalleled tradition forward into the 21st Century. The band has greatly expanded its repertoire to include both traditional martial music and more modern tunes. The Schiehallion Dance Ensemble have been fine ambassadors (both officially and unofficially) not only for their hometown of Hamilton, but also for all of Ontario and Canada. Through her dancers, director Sandra Bald Jones has helped to perpetuate Scottish cultural heritage, bringing highland dancing to the attention of many delighted audiences. The Screaming Orphans are four sisters with the good fortune to have been raised in the magic of Bundoran in County Donegal, Ireland. 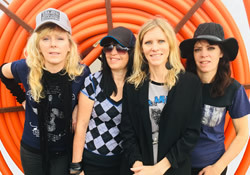 They can never forget their roots in traditional Irish music, the Screaming Orphans draw on a diverse set of influences ranging from Simon and Garfunkel, The Bangles to The McNulty Family, with a strong focus on melody-driven songs with pop and rocks strains. 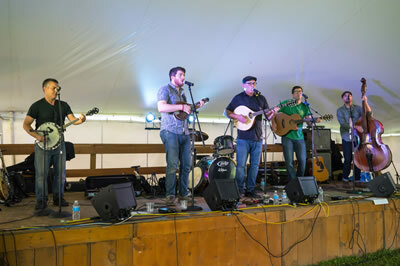 The Steel City Rovers from Hamilton, Ontario, are a Celtic rooted band that roves through their musical performance in an adventuresome manner. 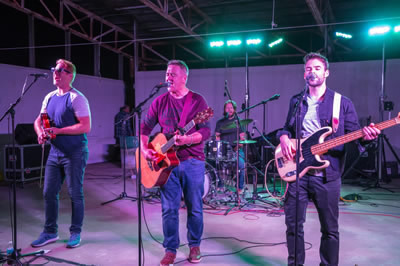 Add to that the group's ability to integrate some of the best of other Trad music genres and you get an infectious blend of sound that will keep you on the edge of your seat. They’re hard to pin down, they’re creative, and perform with an inescapable passion for their music. Combining primal rhythms, melodic and ethereal ballads, screaming guitar riffs with an Appalachian/Celtic vibe, Tuatha Dea delivers an authentic tribal and clannish feel that not only draws the audience into the music but into the moment and clan as well. 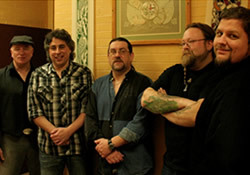 They embrace their Celtic heritage and mesh it with their own bold blend of mainstream rock, mountain drumming and Appalachian blues to produce a truly unique sound that has a universal appeal! Music and dancing at the Fireside is nearly non-stop all weekend, from local favorites to international rockers. It's the new home for the Saturday Evening Ceilidh, and will be surrounded by lights, food, ceremonial fires- everything you love about Niagara Celtic! Music is alive at the Dagda Faire! The Dragonfly will host a variety of musical acts, all with the goal of keeping the Dagda's atmosphere full of fun and excitement! 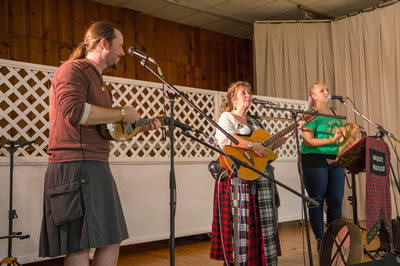 Celtic sounds originated with solo performers, small bands and groups. 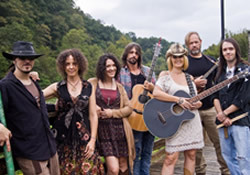 The Celtic Arts Theatre honors their modern counterparts who blend musical traditions and sounds with a touch of their own style. The theatre is our only indoor stage, and offers food and restaurant-style seating. Motte & Bailey Arena New! This quaint wood arena has built in bleachers and a roof, allowing seating like you've never before experienced at Niagara Celtic. 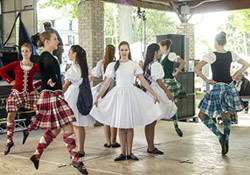 Enjoy dancers, pipe band showcases, unique demonstrations and more!